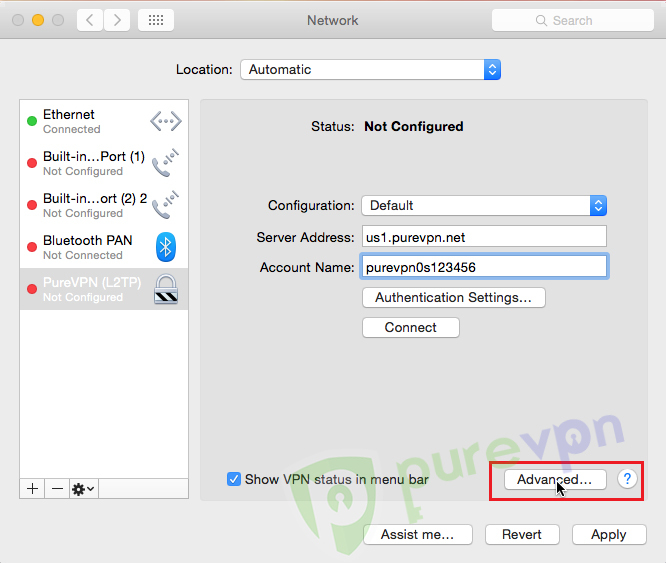 The following tutorial will help you learn how to setup PureVPN manually on Mac devices. Ensure you have a Mac supported device. 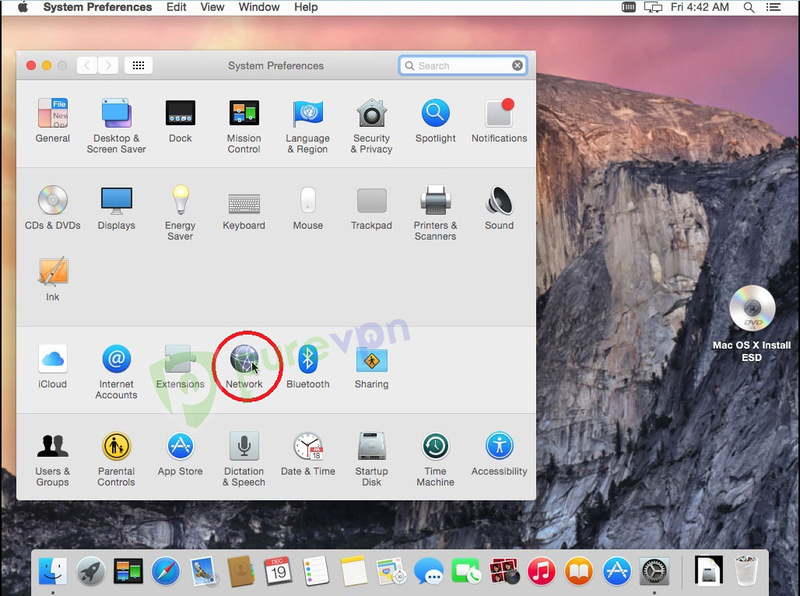 1 Click the Apple icon, and then select System Preferences. 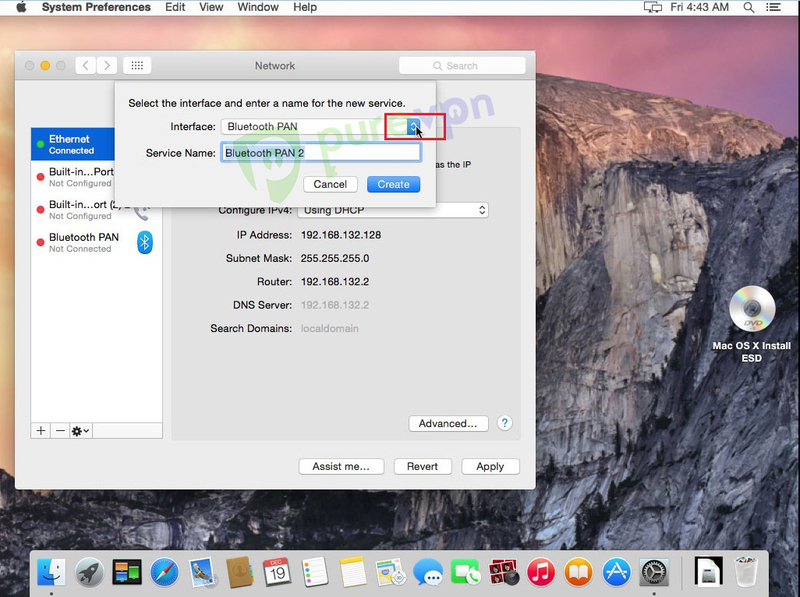 2 Within System Preferences, click the Network icon. 3 To create a new connection, click the + button. 4 Click the Interface Menu. 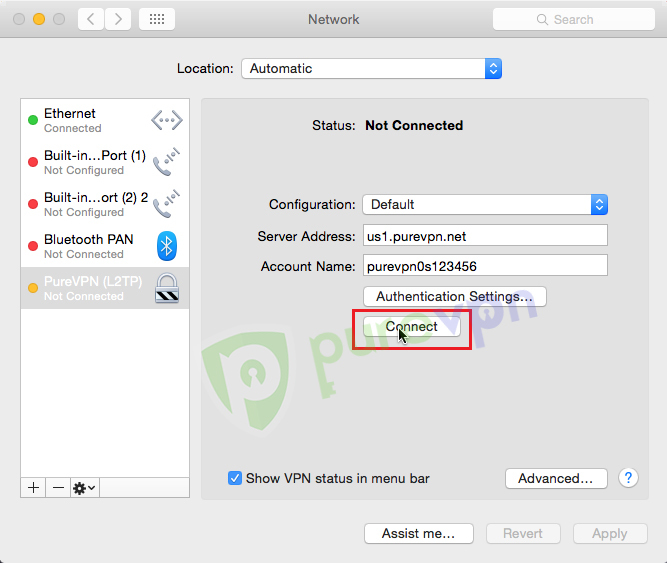 Service Name needs to be changed to PureVPN (L2TP), after which click Create. 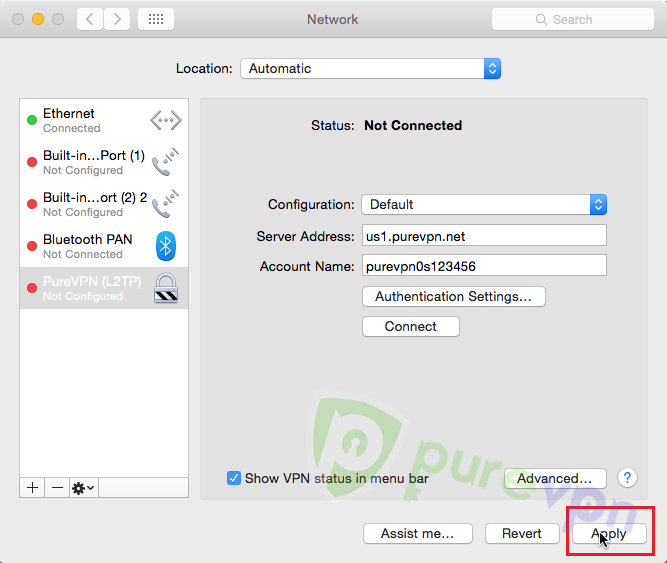 In the Server Address Box, enter desired PureVPN server address. 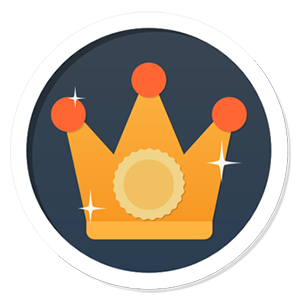 To get server addresses, click here. 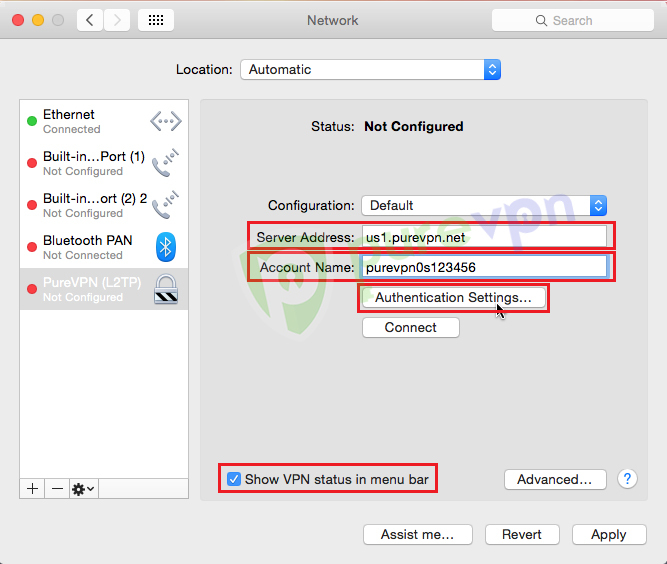 In Account Name, enter VPN Username as provided beforehand. 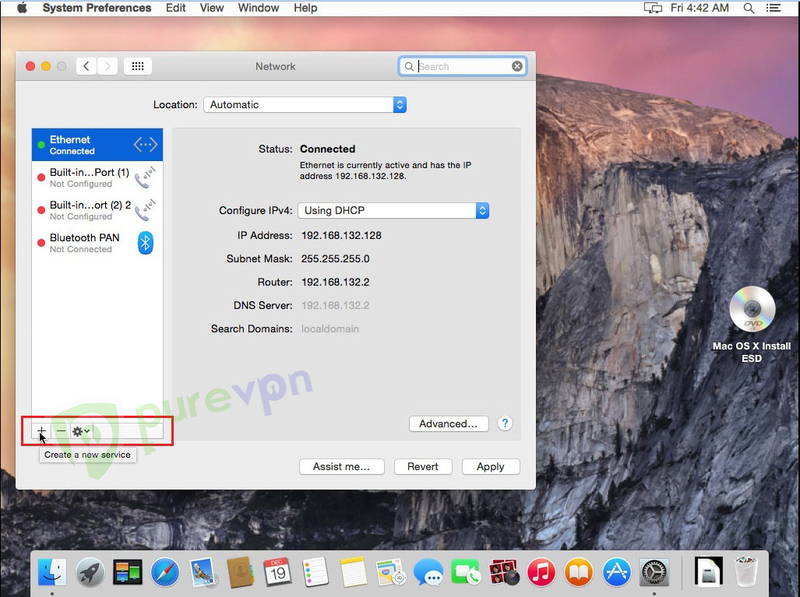 Tick Show VPN Status in Menu Bar. 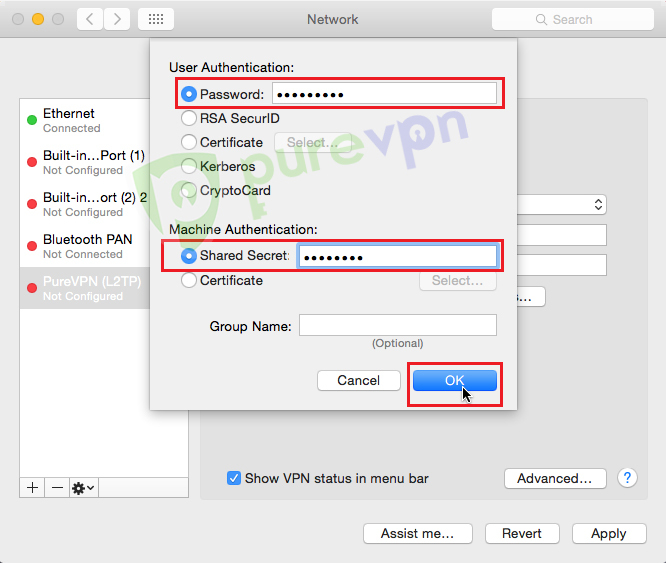 In the Password box, enter VPN password as provided beforehand. 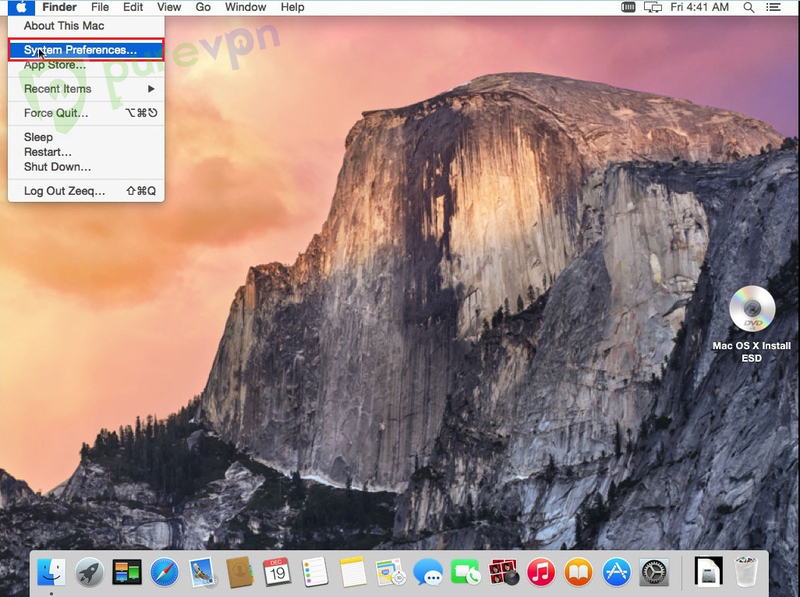 9 Tick Send All Traffic Over VPN Connection, and then click OK.
10 Click the Apply button to finalize new settings. 11 Click the Connect button. 12 Feel free to browse the internet with complete freedom, without any hassles whatsoever. 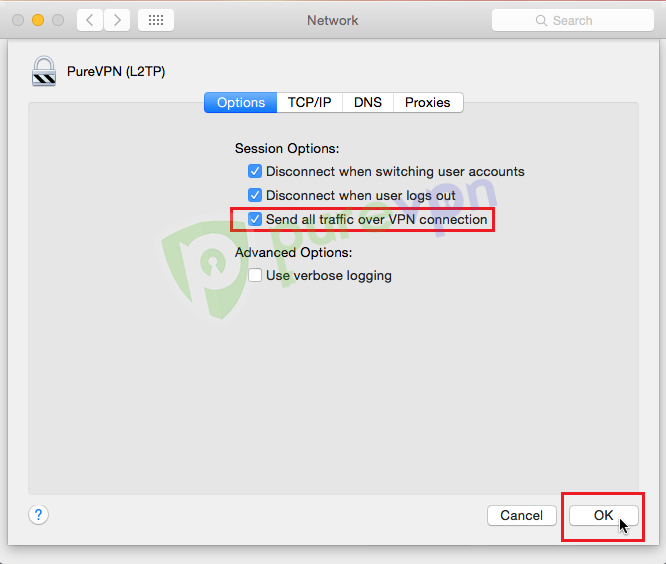 Note: For those looking for enhanced security, you can disable IPv6 by following instructions provided here. 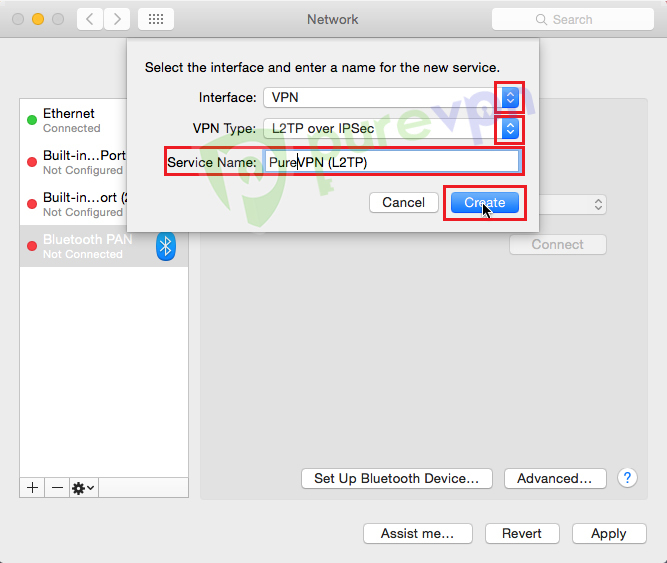 You now have everything you need to know about manually setting up PureVPN on Mac using the L2TP protocol. For suggestion and feedback, feel free to leave a comment below or you can contact our live support, which is available 24/7.